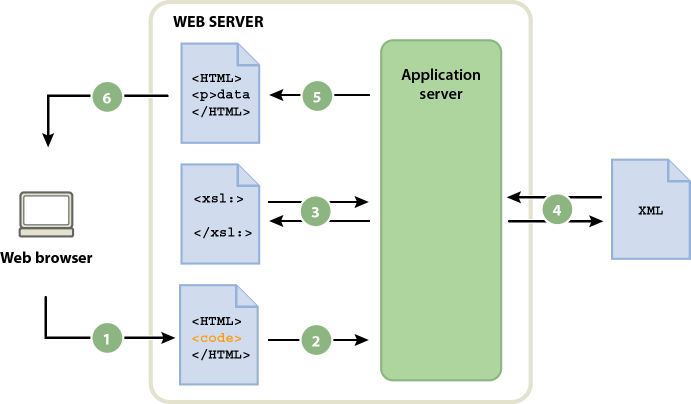 You can perform XSL transformations on the client without the use of an application server. 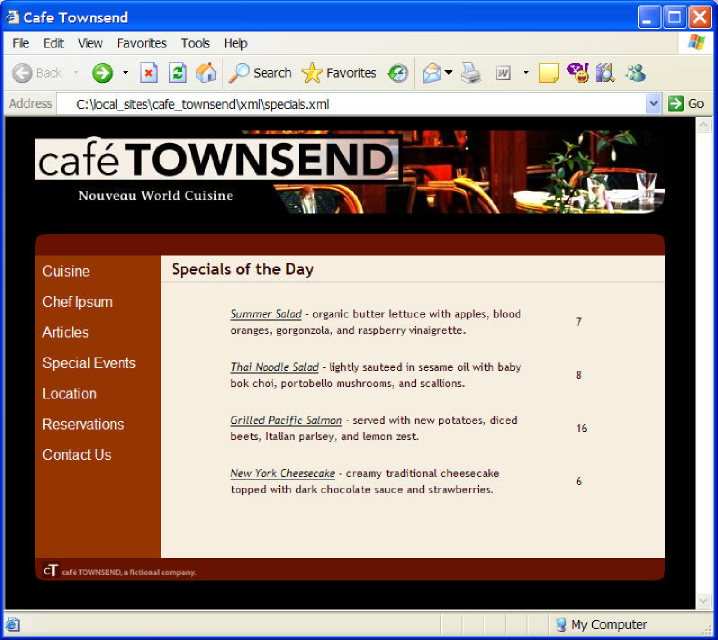 You can use Dreamweaver to create an entire XSLT page that will do this; however, client-side transformations require manipulation of the XML file that contains the data you want to display. Additionally, client-side transformations will only work in modern browsers (Internet Explorer 6, Netscape 8, Mozilla 1.8, and Firefox 1.0.2). 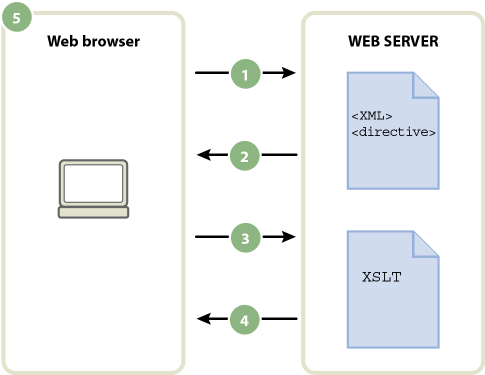 For more information on browsers that do and don’t support XSL transformations, see www.w3schools.com/xsl/xsl_intro.asp.